I'd like to automate my family backups, specifically I'd like to run a shell script (with rsync) when an external drive is connected. Since it's a family thing, it should be also sort of GUI driven, maybe an icon like Dropbox. Probably a shell script with fswatch isn't really nice to play with, they would probably complain and certainly won't understand if an error occurs. I was thinking about Automator or AppleScript (I have the GUI for the backup script in AppleScript already, but no automation), since "Folder Actions" isn't available for /Volumes, but any other solution is more than welcome. How can I mount a volume in a network? There are other approaches like a launchd but you will sacrifice RAM so it can check. I think at login would be your best approach. Not the answer you're looking for? 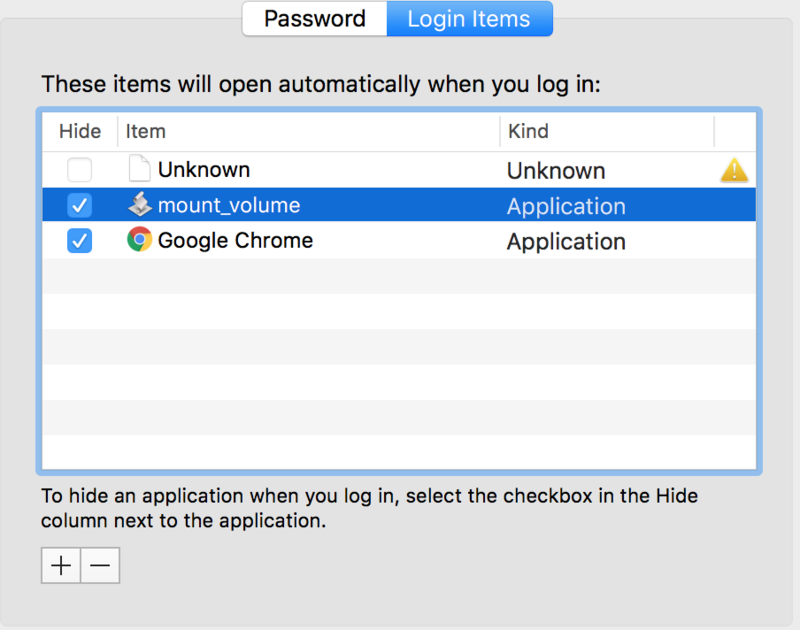 Browse other questions tagged applescript automator external-disk mount .